We understand how much your children mean to you. There is nothing more important than securing their safety and ensuring they receive the financial support, proper care and loving attention they deserve. Often in child custody and divorce matters, the one who hires a private investigator is the one who wins. The information you compile today could be the deciding factor in your case and in the quality and safety of your child’s life. Unfortunately, once the court’s decisions are made, the opportunity could be gone forever. Equally, if you suspect your child is a victim of abuse or neglect, there is no time to wait. You need convincing evidence to mobilize law enforcement to intervene expeditiously your child’s behalf. Every moment of abuse can feel like a lifetime and a lifetime is how long it can take to heal if allowed to continue. Nothing could be more devastating than the thought of losing your child in a custody battle. Ideally, children would be blessed with two loving parents who provide safe, healthy, loving and stable homes, but this is not always the case. Under these circumstances, the child or children should remain in the custody of the more qualified parent. If the parents are unable to reach an agreement as to whom that is, the court will decide custody matters based on what is in the “best Interest” of the child. However, with divorce proceedings on the rise, millions of children are trapped in legal battles the court system is ill-equipped to handle. As a result, children are being subjected to visitation or habitation with unfit parents at an equally alarming rate. Cheating spouses, child endangerment, personal finances and other personal matters lead many of today’s family into divorce court and child custody battles. 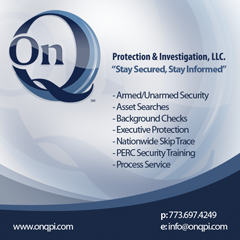 ONQPI Investigators, work closely with you to discover and verify the facts pertaining to your particular situation, we will find the truth and document it. We know that to help the concerned parent is to help the child or children in the custody matter. The children are the most important asset in any separation.